As you can probably tell, I work on this stuff early in the morning! Here's the latest progress. 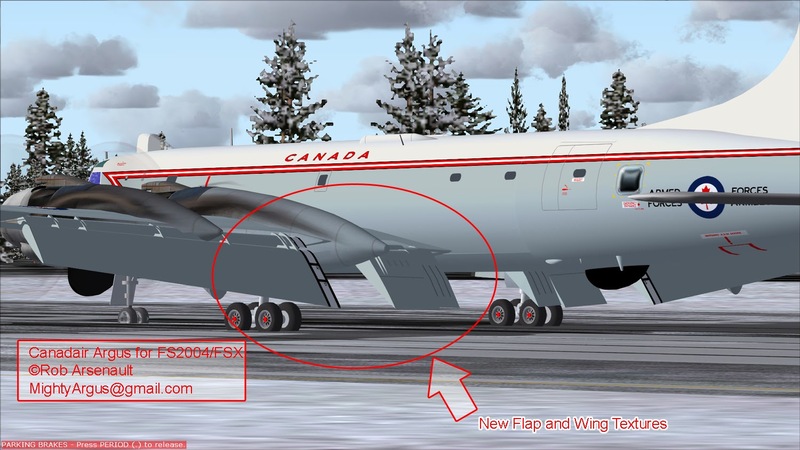 I have made all-new wing and flap textures and re-mapped them to make thing easy on me. I fully concede the roundels are too small but that's a 2 minute fix. I also need to work the sono chutes, engine nacelles, whip antennae and horizontal stab. 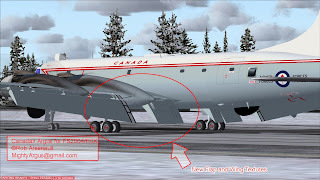 I re made the wing textures to facilitate early RCAF colors down the road. As a corrosion prevention/optics measure, the RCAF experimented with Glossy Black engine nacelles on a few aircraft (I have seen photos of 20718 and 20719 this way) and, later, neutral grey in others (20718, 20733 and others) in the 1960s. Here are the latest screen grabs. 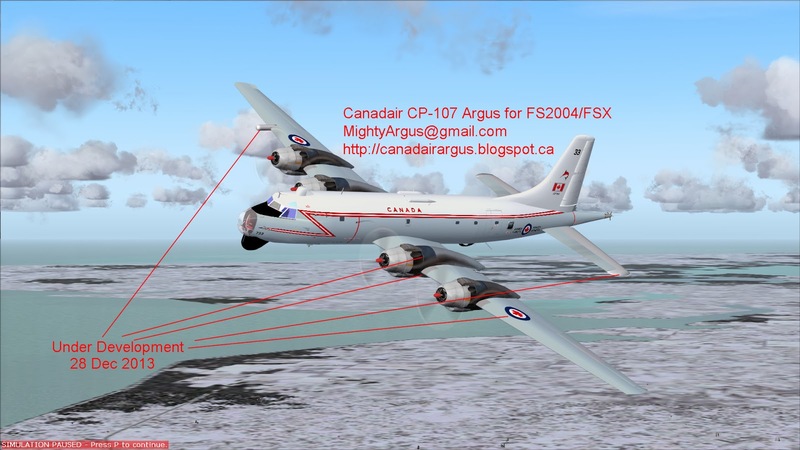 Once I have the Mk II re-baselined, I'll get to work on early RCAF textures. After that, I'll re-generate the Mk I (APS-20) radome for the new fuselage.